These hour-long classes combine the fundamentals of different dance forms allowing young dancers to explore and compare different techniques. Students explore different dance sounds, rhythms, shapes, and formations in a fun and exciting way. Classes are fast-paced and fun, providing students with the opportunity to choose a favorite dance form and explore the differences and similarities between Tap, Ballet and Jazz and learn basic tumbling. 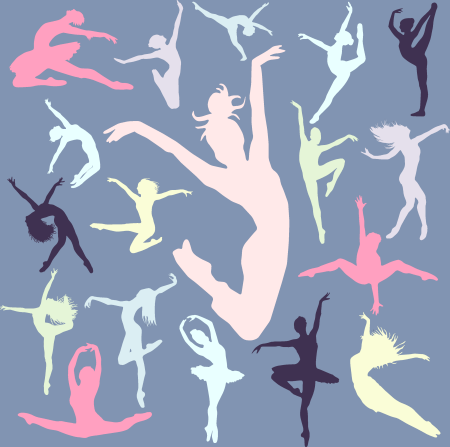 Entry-level dance class for little ones ages 3-4 with approximately 20 minutes each of Tap, Ballet, and basic Tumbling skills (somersaults, cartwheels, etc.). Lots of fun and super-cute! Builds upon the basics taught in the TBT (3-4) level with approximately 20 minutes each Tap, Ballet, and Tumbling. Expands moves to include basic Barre work, Chainee' turns, Maxi-Fords, Buffaloes, Handstands, Backrolls, etc. An entry-level Tap/Jazz class for ages 5-7 concentrating on exploring the fundamentals of Tap and Jazz. Approximately 30 tap followed by 30 minutes jazz. 1 There are no prerequisites for these classes.